Orit Sinai is a Recruitment Partner in ZSA’s Toronto office. She manages all aspects of the executive legal search process for various law firms and Canadian organizations. 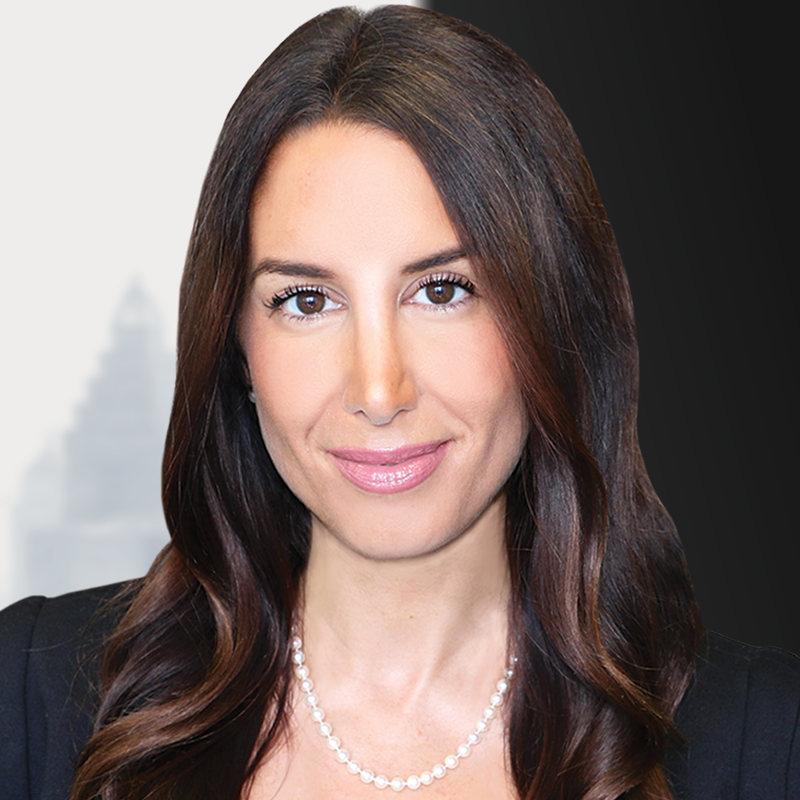 With over ten years of experience in talent management, along with her extensive knowledge of the legal staffing industry, Orit has the ability to gain an astute understanding of every client’s unique strategic need. Orit focuses on General Counsel, Legal Counsel, Compliance, Partner and Associate level hires across multiple industries. A natural counselor and connector, Orit acts as a co-partner for candidates and clients’ alike: advising candidates on strategic opportunities that will enable them to further advance their goals; and providing customized advice to clients in line with their hiring needs and business objectives. Orit delivers unparalleled guidance and support to candidates at all stages of the process and a receptivity to client needs that ensures long term success in her placements. Prior to joining ZSA in 2010, Orit gained valuable recruitment experience in the Toronto office of a technology company, where she was responsible for overseeing strategy, talent and professional development. Prior to moving into her role as Recruitment Partner, Orit articled at a large bay street law firm and acted as Legal Counsel and HR Director for ZSA nationally. Orit holds a Bachelors of Human Resources Management from York University and an LL.B. from the University of Windsor. She was called to the Ontario Bar in 2010. While not working, Orit enjoys discovering new restaurants, travelling to exotic beach destinations, spin class and spending time with her husband, two children, close family and friends. I had contacted ZSA a couple of years ago with respect to a job posting and ended up meeting with Warren. Recently, his colleague (Orit) contacted me to confirm my interest in a new role. I was impressed that they still had my resume on file to be able to consider me for opportunities. Orit went above and beyond in helping me through the process. Orit was available and responsive all the time. She was knowledgeable about the role and was quick to find responses to my questions. After an offer was signed, Orit and her team worked hard to complete reference and background checks in order to help me meet deadlines. In addition to all this, what I found made Orit stand out was her positive and motivating attitude throughout the whole process. She became a friend and an advisor while providing excellent and professional help with the hiring process. She truly cares about the candidate and making sure he/she is the right fit for the role. I have used other recruiters in the past, but I found ZSA to be organized, professional, and clear in terms of the job description and requirements. I also find that Warren and Orit really understood what I was looking for in my next role and provided me with the opportunity when it arose. Orit and Warren totally owned my search and presented amazing opportunities in quick succession. (I dare say I almost could not keep up!) The team was very professional and had a calmness that showed a deep familiarity with the hiring process. I have dealt with several other recruiters, including outside Canada. In comparison, ZSA is unrivalled by all standards of measurement I can conjure. The confidence of ZSA’s clients is apparent in the sheer volume and variety of opportunities that were brought to my attention. I would absolutely use ZSA again and I’d also recommend to others – clients and candidates alike. I worked with Warren Bongard and Orit Sinai, who were both exceptional from start to finish. They were interested in understanding my goals and objectives and responsive in answering my questions along the way. They made the whole process as painless as possible. I particularly appreciated the fact that they spent the time to explain the market to me in advance of my interviews so I knew what points to emphasize with firms during the recruiting process. I would use ZSA again, without a doubt. They would be my first call if I am ever looking to make another move. Orit’s passion, drive and honesty are unparalleled in this sector. She was committed to ensuring both parties achieved the right result. Working with her throughout the process exceeded expectations, as there was always clear communication and honesty. I’ve worked with other recruiters in the past, but Orit if by far the best. She is a superstar! I worked with ZSA on my transition between private practice firms. They were extremely helpful in educating me on the process, preparing me for the various interviews and emphasizing my skills to my new employer. Their attention to my application was thorough and fulsome and it was a pleasure working with ZSA in my last move. I would recommend ZSA for anyone keen on learning about or seeking out other employment opportunities in the market.